– Warren Bennis, author of On Becoming a Leader. What makes people successful? Many things, but one key factor is Emotional Intelligence (EI). Recent research has shown that Emotional Intelligence (or EQ) accounts for 80 percent of our success in the workplace and in life, while IQ (cognitive intelligence) accounts for about 20 percent. What is EI? Emotional intelligence is the ability to be aware of our own emotions and the emotions of others, in the moment, and to use that information to manage ourselves and manage our relationships optimally. How critical is emotional intelligence to our success? Research among Fortune 500 companies at Stanford University showed that 90% of those who failed as leaders did so because they lacked the interpersonal skills that are a critical component of emotional intelligence. This is confirmed by research conducted by the Center for Creative Leadership, which shows that poor interpersonal skills are a leading cause of derailment from executive-level positions. effectively. Unlike IQ, which remains pretty much the same throughout our lives, EQ can be enhanced through appropriate training and coaching. EI can be learned! One of the quickest ways to gain insight into your EI strengths, vulnerabilities and strategies for improvement is to take an emotional intelligence assessment. 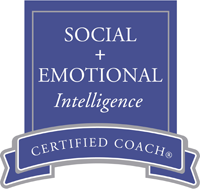 The Emotional Intelligence Profile, offered as both an on-line 360 and as a self-scoring instrument, this profile, developed by Dr. Laura Belsten, is the most comprehensive EI assessment on the market today. The Emotional Intelligence 360 Interview Process, based on the same EI competencies contained in the Emotional Intelligence Profile by Dr. Belsten, this semi-structured interview process allows you and your coach to confirm high and low scores and clarify desired behavioral changes and action items. training has had on bottom line results. of any size. Call us at 800-461-5698 for more information. more productively and work more effectively with others. Teamwork and collaboration – building powerful teams and a healthy, collaborative work culture. continues with your choice of a variety of EI workshops. leadership practices back in the work place. Researchers estimate that success at work is 80-90% EQ, and only 10-20% IQ. 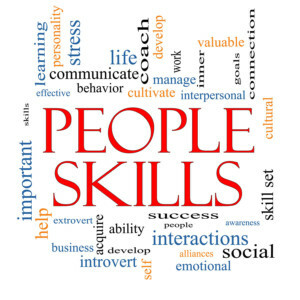 have greater EQ skills than they had earlier in their lives. demonstrate poor emotional awareness of others. made in using intellect and IQ with the invaluable competencies of EQ. and most inspired performance from others. those who had high EQ competencies outperformed their colleagues. EQ recruiters, resulting in an immediate saving of $3 million annually. Partners in a multinational consulting firm were assessed on their EQ competencies. partners – a 139 percent incremental gain. selected in the typical way. supervisor. People with “good” bosses (defined as having high EQ) are four times less likely to leave than those with “poor” bosses. lacked high EQ under-performed by almost 20%1. Realistic optimism: Expecting success; seeing setbacks as manageable; persisting in achieving goals despite obstacles and setbacks. Intentionality: Thinking and acting “on purpose” and deliberately. connecting with others on a deeper rather than superficial level. Teamwork & collaboration: Working with others toward shared goals. Creating group synergy in pursuit of collective goals. Building trust: Being trustworthy and ethical when working and relating to others; ability to establish a bond of trust with others.